No, you haven’t clicked on the wrong post. I am, in fact, talking about storage challenges for smallholder farmers in East Africa. “Osamas,” or grain borers, are the name used by smallholder farmers for the dark brown beetles that easily chew through plastic mesh storage bags to attack maize stores. They are one of the major challenges faced by smallholder farmers in East Africa in storing maize. 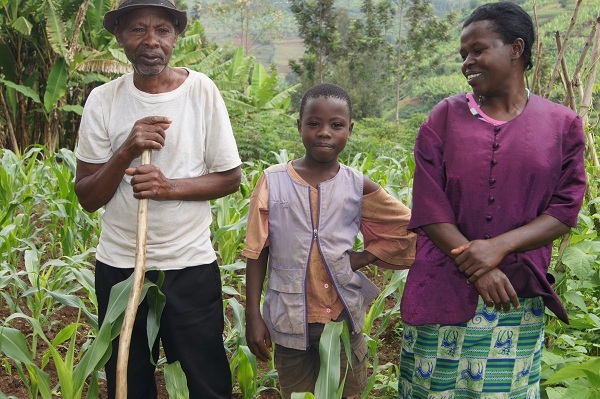 In East Africa, smallholder farmers account for around 75% of employment and 75% of agricultural production. While the region as a whole has been experiencing economic growth, there has been limited progress in agriculture, including in smallholder farming. According to the World Development Report 2008: Agriculture for Development, the average farmer in Sub-Saharan Africa only produces one ton of cereal per hectare (less than a fifth of the average American farmer, a fourth of a Chinese farmer, and half of an Indian farmer). 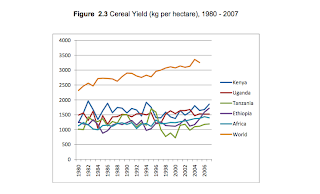 This is largely because cereal yield (cereals include grains such as maize, rice, wheat, barley, sorghum) has remained unchanged since 1980. 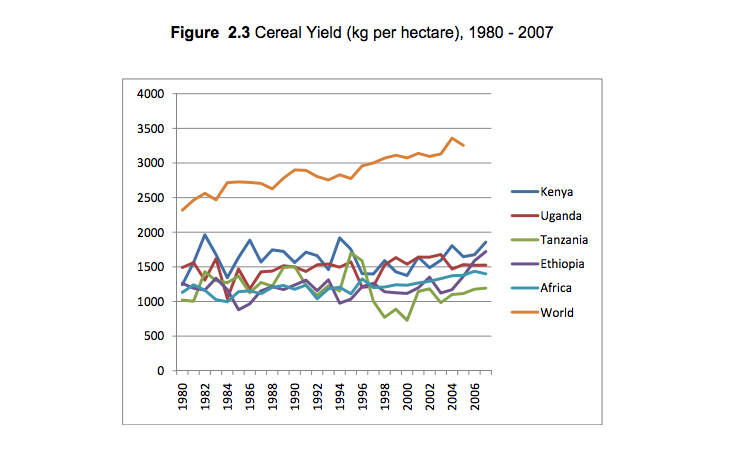 There are a number of constraints that contribute to smallholder farmers’ low productivity in East Africa. These include uncertainties around land tenure and inadequate access to land, land degradation, lack of capital and access to credit, unavailability of key inputs such as seed and fertilizers, and lack of access to output markets. Among these many constraints is the issue of post-harvest storage. These challenges are described by Roger Thurow in his latest book The Last Hunger Season. His book follows the story of a year in the life of four smallholder farmers in western Kenya. For these farmers, one of their major challenges following the harvest is proper storage facilities. Thurow describes how maize, the region’s main staple food crop, can be spoiled by mold, fungus, aflatoxins, weevils and grain borers. 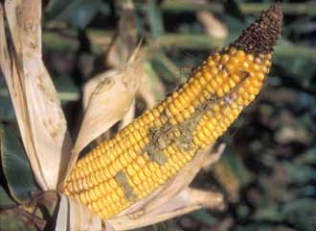 Mold and fungus become more prevalent when farmers fail to properly dry out their maize. Aflatoxins are produced by certain mold fungi, and they are harmful or fatal to livestock and carcinogenic for animals and humans. Even if maize is carefully dried out, it can be destroyed by weevils and grain borers that chew through storage bags. Annual post-harvest losses of maize can be as high as 30% in Africa. Storage is especially a challenge for farmers of produce that require refrigeration facilities. Cold storage facilities require electricity, which, in rural areas of East Africa, is expensive and often unavailable. This constrains the marketability of perishable goods, including certain vegetables and dairy products. The lack of proper storage facilities clouds smallholder farmers’ decision making. Along with the pressure to pay school fees and debts, the risk that produce will spoil often pushes smallholder farmers to sell right after the harvest when prices are lowest. Additionally, the risk of spoilage affects smallholder farmers’ ability to store enough produce to last through the wanjala, the hunger or lean period that lasts from the time the food from the previous harvest runs out to the time the new crops begin to come in. Kiva is continuing to search for Field Partners who can provide innovative solutions for the storage challenges faced by smallholder farmers. Kiva Field Partner, One Acre Fund, is seeking to increase productivity by devising a better home storage system for farmers. They are currently encouraging farmers to use proper drying techniques, actellic dust (a chemical that helps to prevent pest infestation) and proper storage bags. They have found that, on average, the proper usage of actellic dust protects maize for up to six months, three months longer than when it is not used. This allows farmers to feed their families longer into the year and to sell their maize when market prices are higher. In a blog on proper storage practices, One Acre Fund highlighted how proper storage practices can lead to savings of $354 USD per year for the average One Acre Farmer. Kiva is looking to expand its lending to meet the storage challenges of smallholder farmers around the globe. By enhancing the productivity of smallholder farmers, Kiva is helping to alleviate poverty among the poorest of the poor. 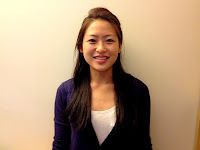 Rebekah Chang is an intern for Kiva’s Strategic Initiatives team, looking for new partners and loan products to extend opportunities and access to more people around the world. She replaces Ian Matthews. Rebekah has an M.A. in Development Economics and Conflict Management from Johns Hopkins University School of Advanced International Studies. Send her your feedback on this blog series at blog@kiva.org. This is part of a larger series on Kiva’s strategic initiatives and innovative loan products, which are designed to expand opportunities for more borrowers.